Posted November 23, 2018 by Andrea Laford & filed under Books, Headlines, News. Scratchman, the novelization of a script for a Doctor Who story intended for the big screen is available for preorder for delivery on January 24, 2019. The novelisation was written by Tom Baker, an actor best known for his role as the fourth Doctor in Doctor Who from 1974-1981. Tom Baker is also the author of an autobiography, Who On Earth Is Tom Baker? and the darkly comic novel, The Boy Who Kicked Pigs. 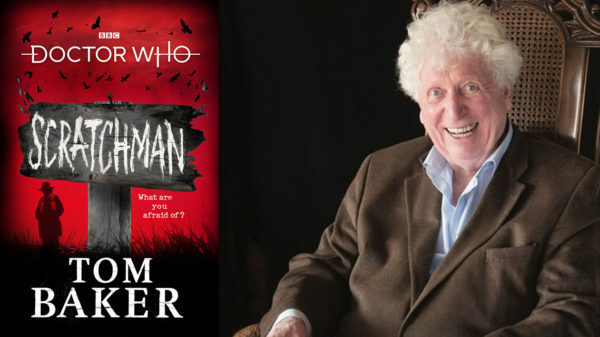 Tags: 4th Doctor, BBC Books, DOCTOR WHO, Doctor Who Meets Scratchman, Harry Sullivan, Ian Marter, Penguin Random House, Sarah Jane Smith, scarecrows, Scratchman, The Boy Who Kicked Pigs, TOM BAKER, What are you afraid of?, Who On Earth Is Tom Baker?